Author’s note: This is an independent review (not a sponsored post) with pros and cons of Minted’s wedding website service. We love to share online review experiences and hope it provides value to your wedding planning! 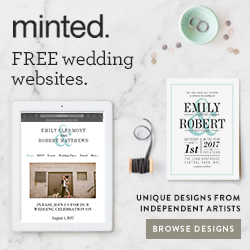 If you’re not already familiar with Minted.com, here’s the scoop: they’re a top choice for stylish and affordable wedding invitations, wedding stationery goods and decor, wall art, and unique artsy gifts. Minted’s popularity as a top online stationer is due in part to the fact that they source designs from hundreds of independent artists all around the world. There is a stationery style for every theme (modern, rustic, whimsical) and taste (yes gold foil!) out there. Don’t have your wedding stationery figured out yet? Good. 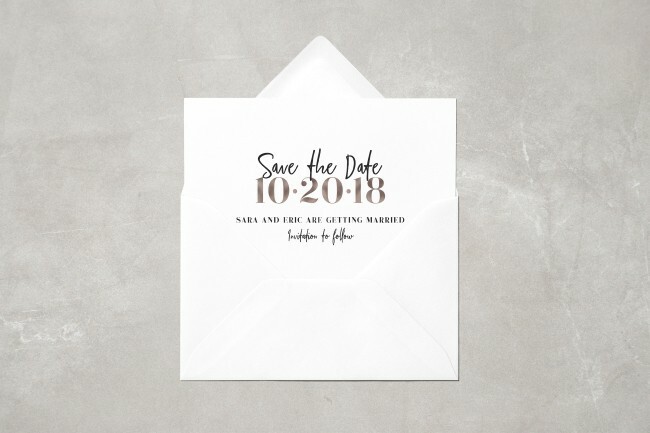 I say that because I think you’ll love the fact that Minted offers gorgeous wedding websites that match wedding invitation designs. Why not kill two wedding birds with one stone? 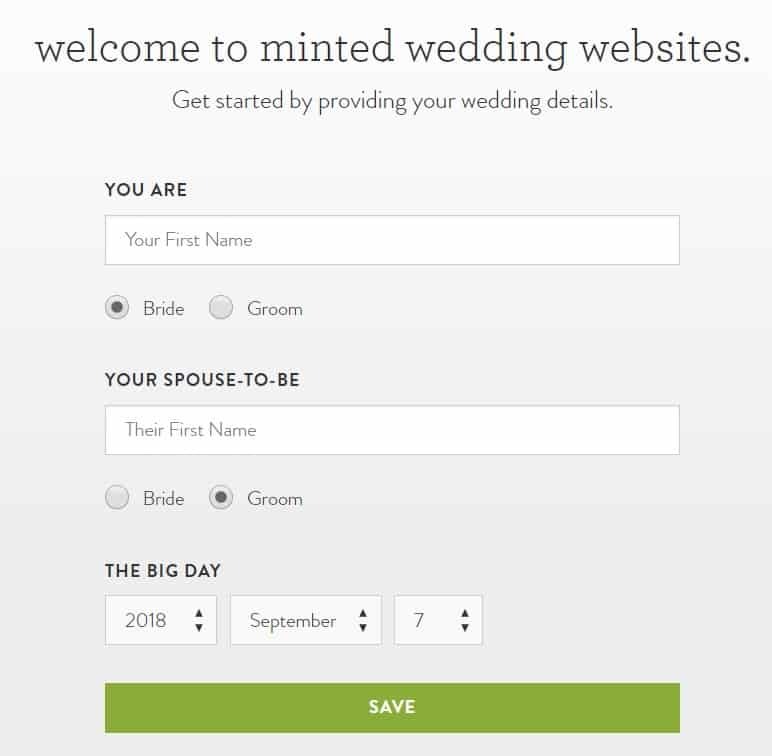 A wedding website on Minted literally takes 10 minutes to setup, and will integrate with your RSVP list. Even though we love Minted as a stationery company, when it comes to creating wedding websites there bound to be a few downsides. We’ll dig into those later in this article, along with some additional benefits. 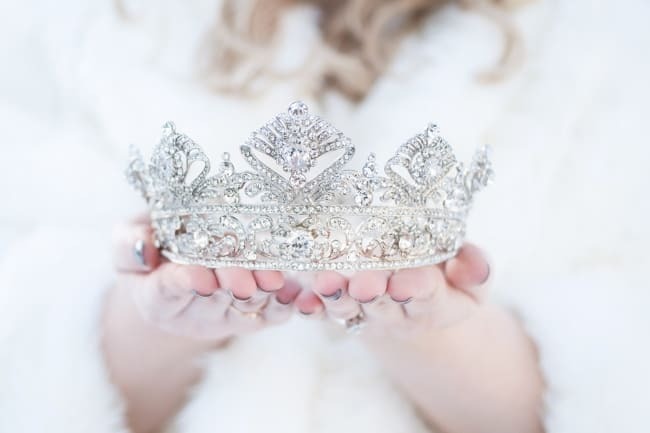 However, I’m doing this Minted wedding website review in order to provide a complete overview of Minted’s service so that you can decide if it is the right wedding website platform for you. 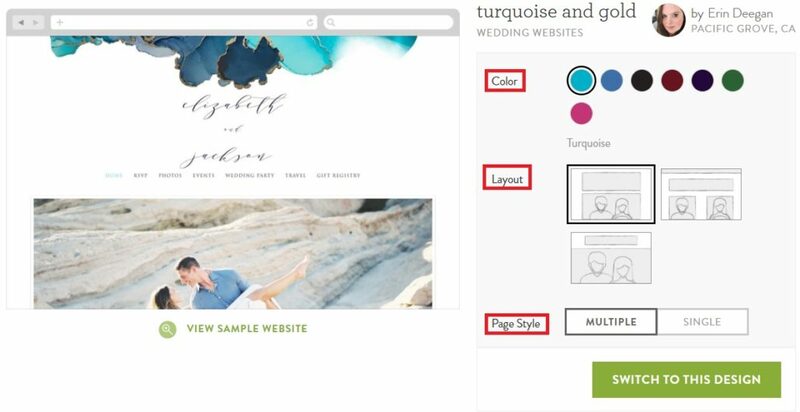 On that note, I also include a step-by-step guide that shows you how to setup your Minted wedding website. 2. 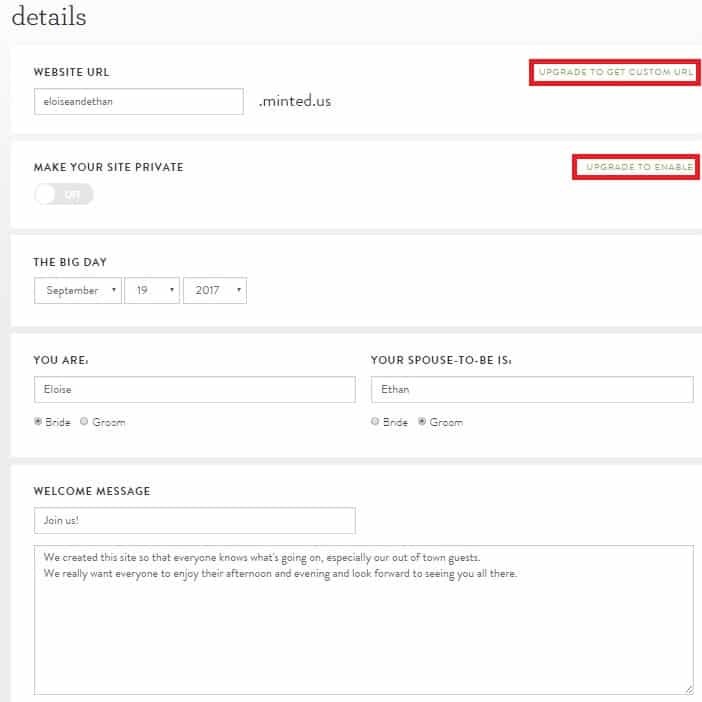 User Friendly Platform & Time Saver: Creating a wedding website on Minted is straightforward and fast. Honestly it will take you ten minutes to setup! Each template is plug and play, which means there really isn’t much customization required besides simple layout changes, color choice, and adding your own information. 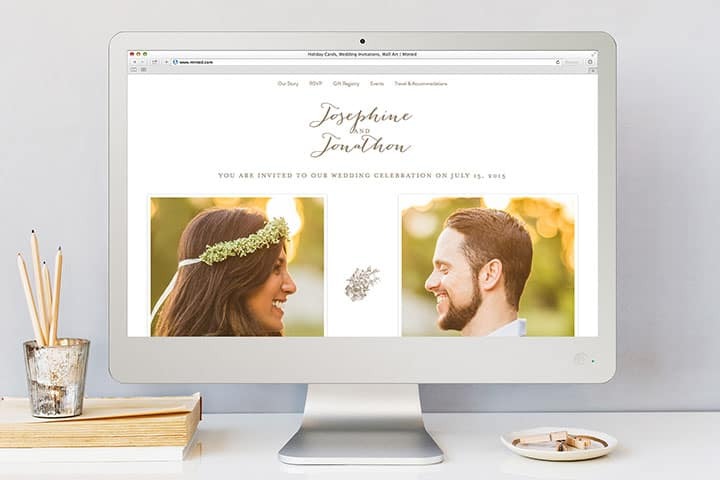 These templates are perfect for couples who want a seamless & simple wedding website builder. After all, who has time to fiddle around creating a website from scratch or deal with different functions to make it look professional? Forget about it … You’ve got a wedding to plan! 3. Matching Wedding Invitations: Minted is our favorite company when it comes to stationers in the wedding space, and for good reason! ALL of Minted’s free wedding websites come with matching wedding invitations, and some even have corresponding day-of pieces like matching programs, thank you cards and more. A great way to offer guests a cohesive theme among all of your printed + digital material. 4. 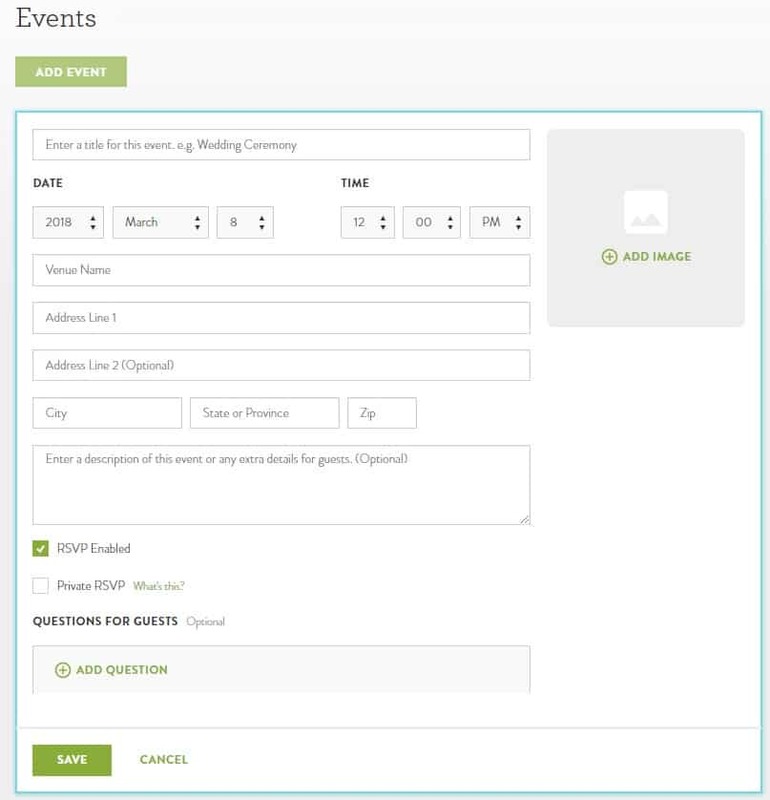 Adding All Wedding Events: I really like this feature – add as many events as you want onto your wedding website. With only one click, choose to make an added event private or not. For example, choose to limit a rehearsal dinner or a bridal shower that only certain guests are invited to. Then, with another click you can make those events visible only to specific guests who are invited. This makes it easy for guests to RSVP in one area, and save any hurt feelings for those who aren’t invited to certain other events. 5. Integrated RSVP & Free Envelope Addressing: Entering guests addresses over and over can be time consuming with the potential for error. One of my favorite things about using Minted is that if you do decide to order matching invitations to your wedding website, once you upload guests’ names and addresses Minted will print the names on envelopes for free. 6. Accessibility: We all know wedding invitations can go missing or accidentally end up in the garbage. 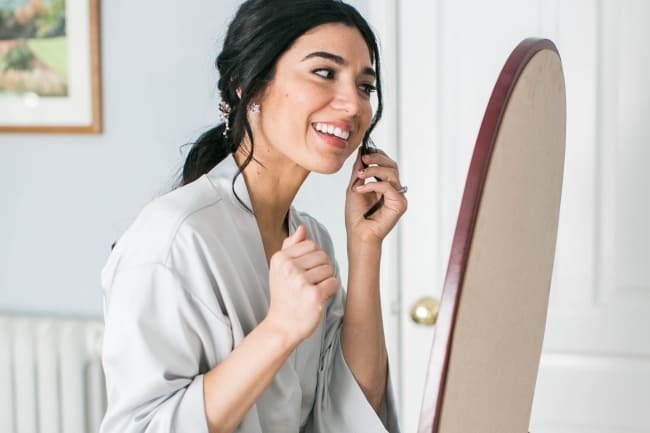 A wedding website lets your guests connect digitally to what’s going on, where, and when, all in one place. 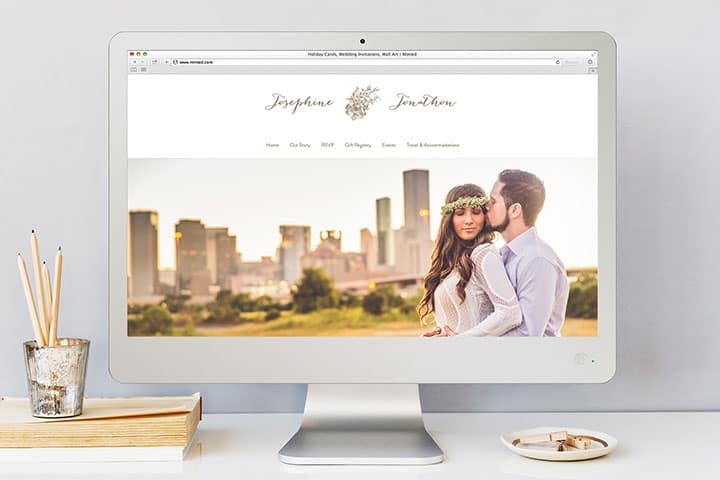 With a Minted wedding website, guests can access your website from a laptop, tablet, or mobile phone to view important information like locations, addresses, times, registry information, maps, and more. 7. 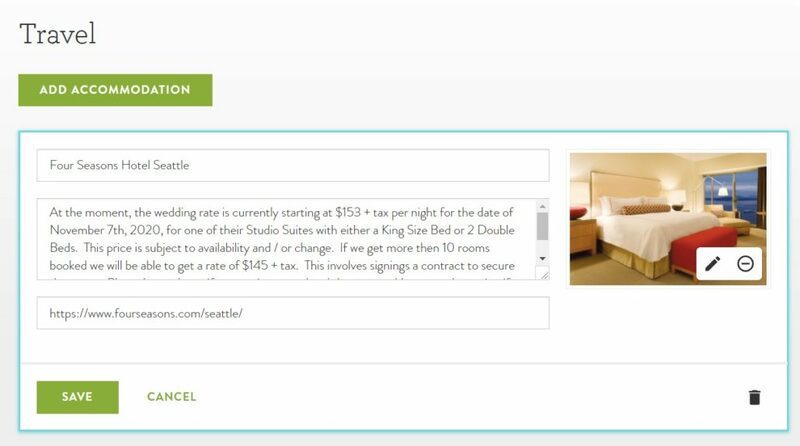 Added Pages: If you sign up for a premium account you can add local attractions, accommodations (and more) for out-of-town guests. Provide hotel accommodation suggestions, places to dine and shop, and fun attractions to see while they are in town. Post photos from your engagement session and tell the story of how you met. You can even use the wedding website to show an email address for guests to send their RSVP in lieu of a physical card in the mail. 8. Design Change: Change the design, color or layout, at any time – even after sending out invitations. 9. 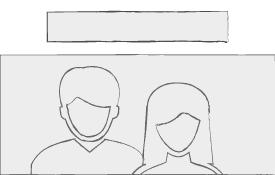 Personalized URL: That’s right – you can have the option of having your very own personalized webiste URL. Maybe something like WillAndKate.com! 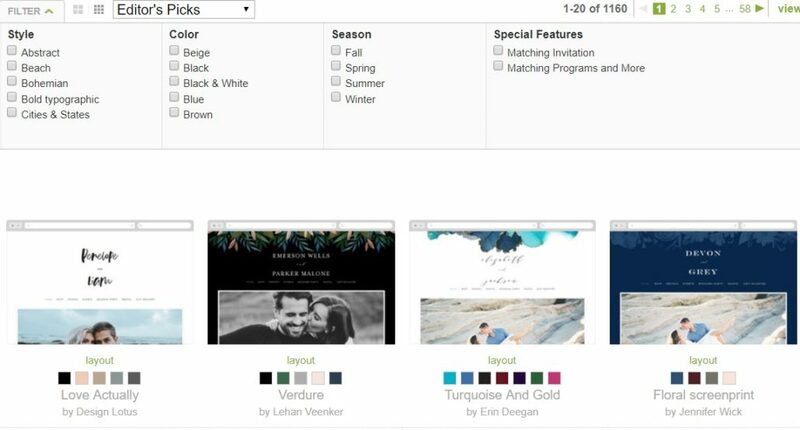 Minted has 1160 different wedding website templates to choose from at the time of publishing this article. Styles range from abstract to beach, or bold typography to destination. Each has a matching invitation to go with it, and all of the 1160 templates have additional matching stationery to really complete your whole ensemble. Next, choose a color scheme and website page layout from 3 different layouts. If you did an engagement photo shoot, this is the perfect spot to host your photos. Most templates offer a minimum of 2 color changes. Signup for a free Minted account if you don’t already have one. 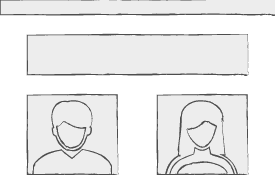 Simply add your name, email address and create a password. 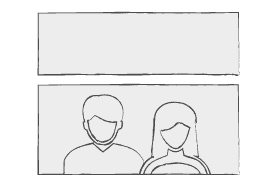 Step #4 – Enter the most important details! 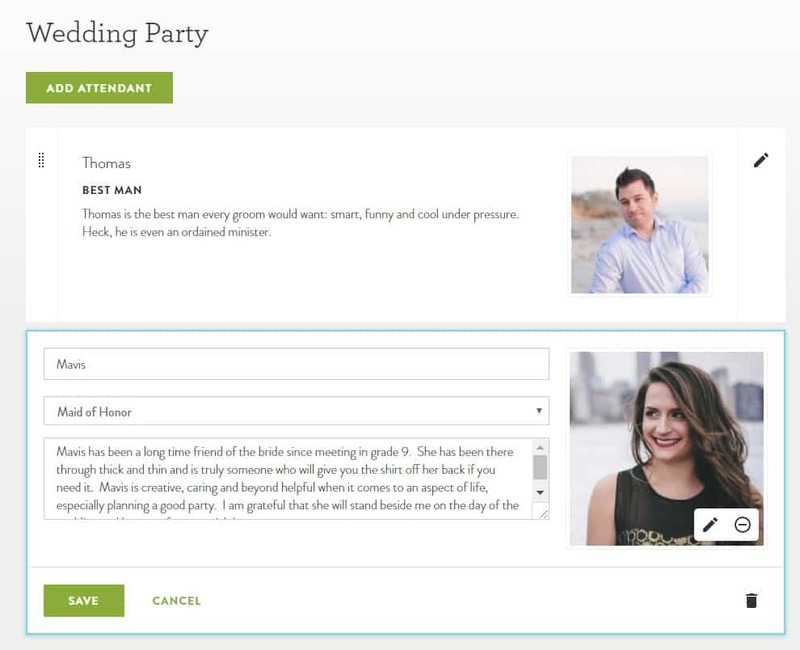 The Dashboard view provides a good overview of all the options to personalize your wedding template. We’ll discuss the Premium Wedding Upgrade options more in-depth below. Under Details you are able to enter the date of your wedding, the bride and grooms first names, and also a welcome message. 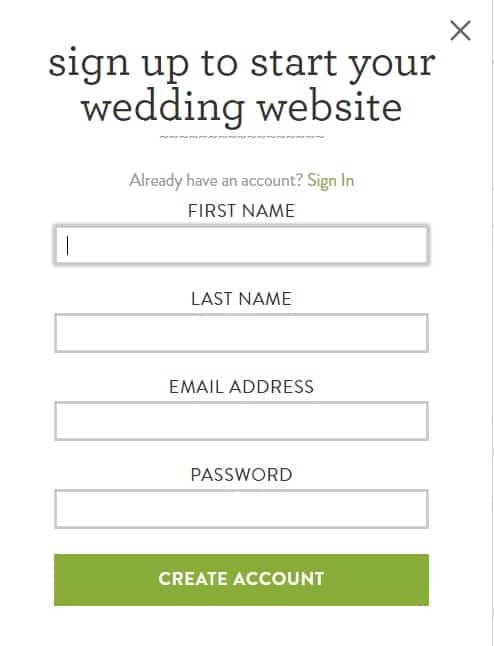 This all appears on the front of your wedding website. Use the welcome message to draw guests in with a story about how you met, a description of the proposal, or any other adventures along the way. 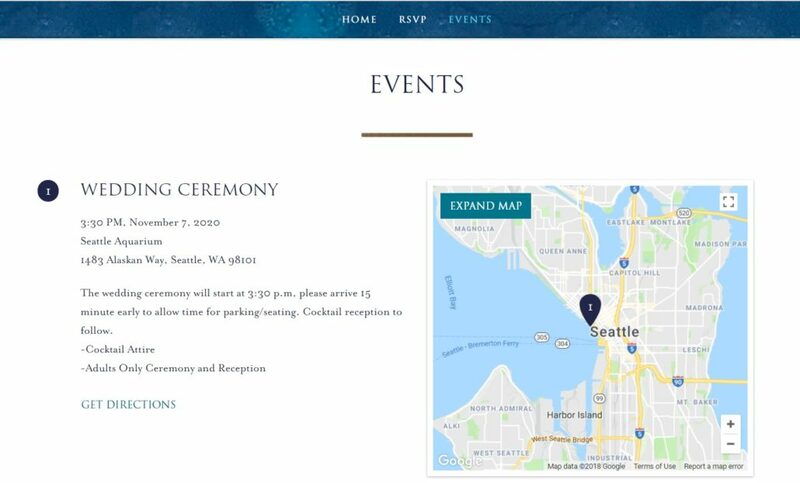 Under the event tab you can enter information about the ceremony and reception, along with whatever other events you have planned. This allows you to enter the date, the time, location, and even a little blurb about the event. 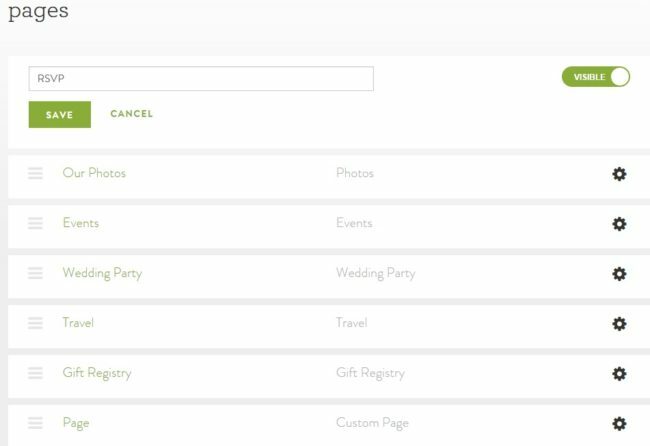 For events like a bridal shower, where only select guests may be invited, Minted has a great feature where you can mark events private by checking off the Private RSVP. That way the event will only show up to invited guests. Under the travel tab you can add accommodation information for the hotels that are either near to the wedding venue or that you have pre-arranged group bookings. This information is helpful for any out of town guests that don’t know the area. It will save you the headache of receiving 50 phone calls/emails inquiring about hotels. 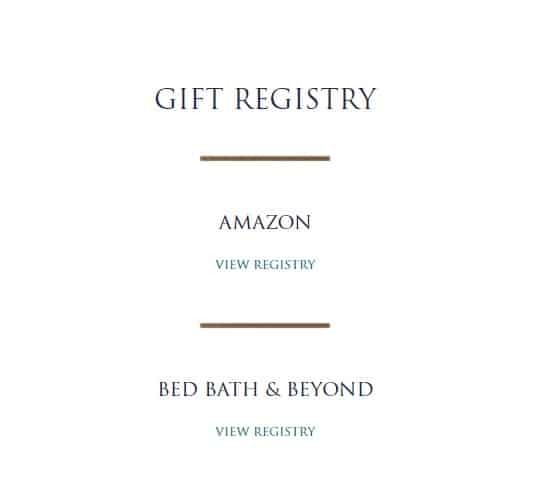 Under the gift registry tab you can enter basic information about places you have registered. 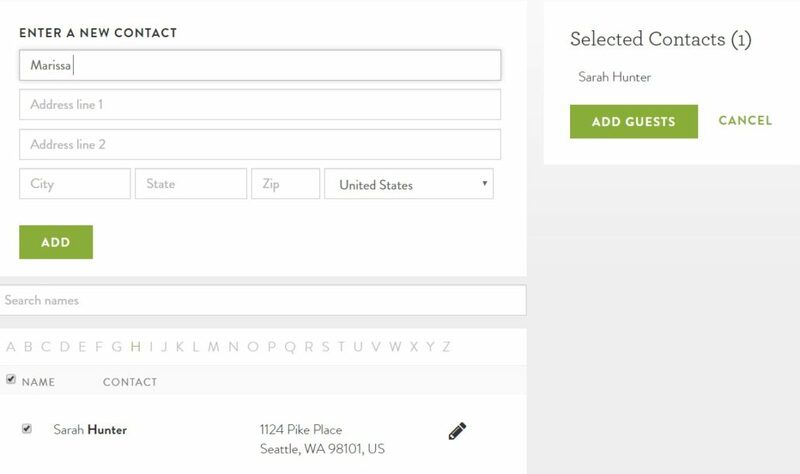 From the drop down menu, select from a standard selection of registries or use a custom field. You can then enter the description of the registry or the address of the gift registry store. 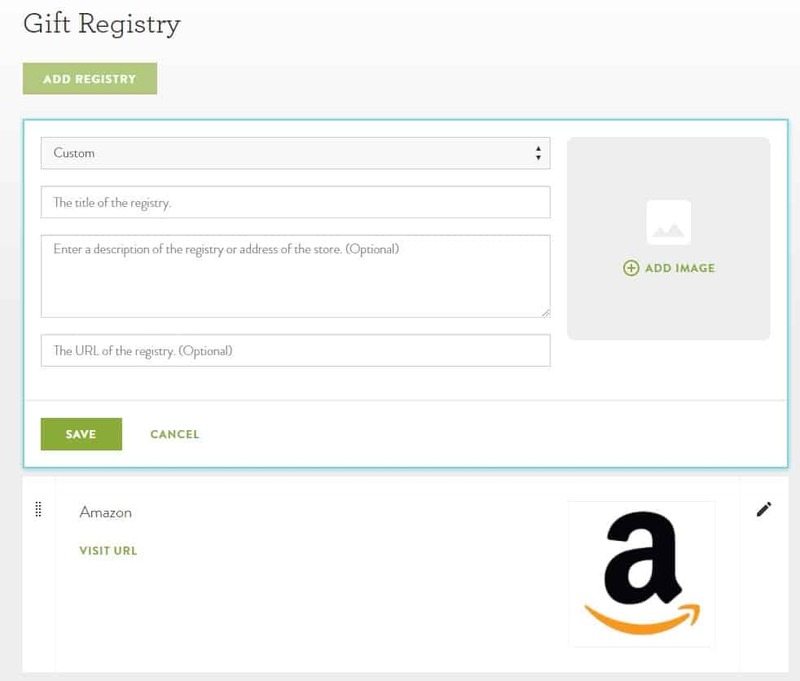 Optionally, add the URL to your registry page. This layout has the navigation bar pinned to the top of the page while the user can scroll all the way down and see information. This layout offers a homepage with a welcome message at the bottom, along with individual pages that the user can reach through the navigation bar. 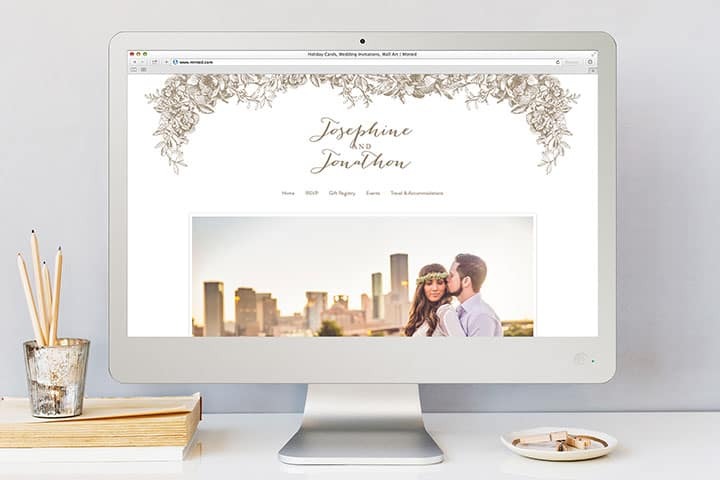 What Else Can I Do With My Minted Wedding Website? 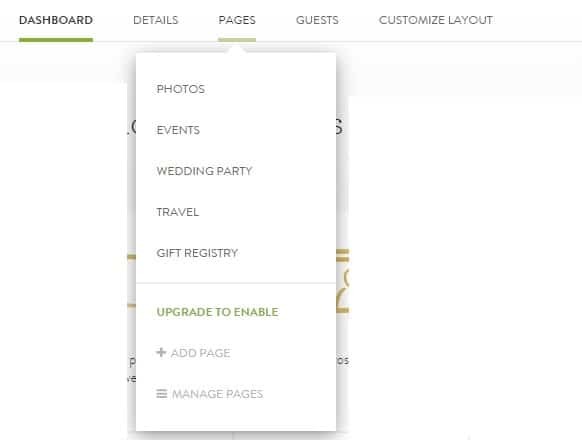 Upgrading does give you the freedom to add a little more to your wedding website such as a custom URL, Privacy options, more pages and a photo gallery. If you choose to go with a Minted wedding website, I would definitely suggest the upgrade — especially if you’ve had a professional engagement shoot done. It’s totally up to you if you go for the upgrade, but surely you want to share your fantastic engagement photos!? 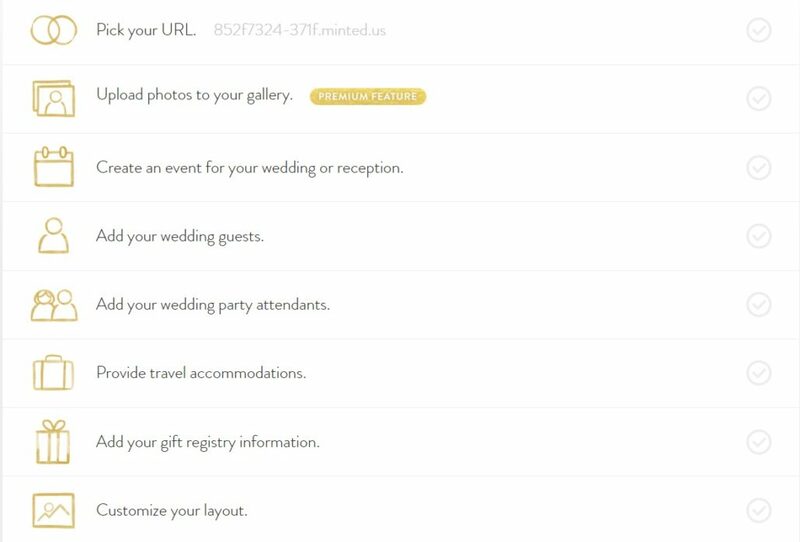 Pick your own Custom URL – That’s right, your very own .com for your big day! Are you looking to hide all your wedding details so that you don’t have any un-invited wedding crashers? Upgrading gives you the option of making your website private. With the aid of a password, only you and your guests will be able to access your site. Share all your cute photos by easily uploading and adding a caption to each. You are then able to move them around and put the images in whatever order you choose. 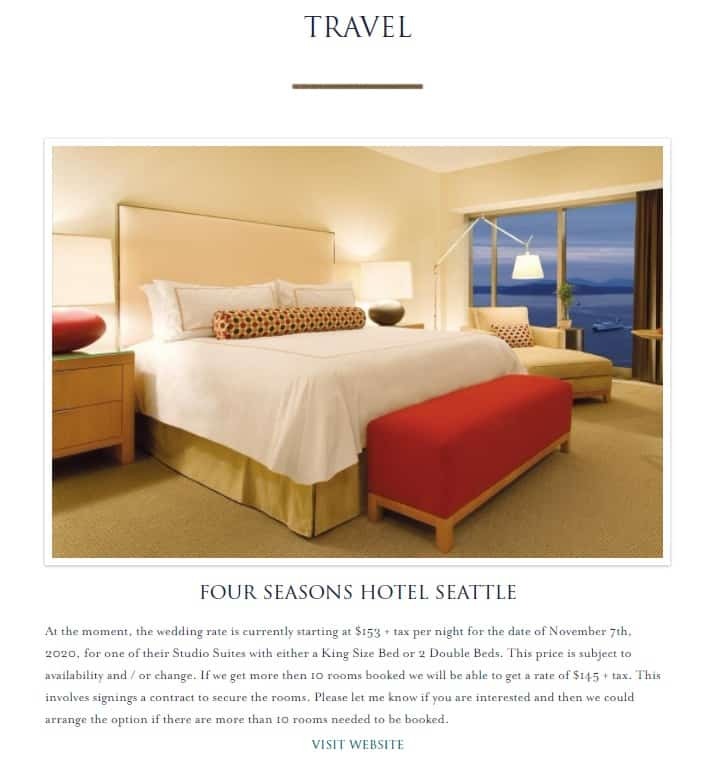 Add more pages to provide guests with further information. These pages will automatically be added to the navigation bar. Thanks for taking the time to read through our Minted wedding website review. We hope you found it helpful! If you like the looks of their service and think it is the one for you, head on over and start designing your own Minted wedding website. Let us know if you have any questions or comments in the section below! Thank you. This review was extremely helpful in helping me choose my wedding website!